One of the most promising projects of 2018 for our country is the development of meridional tracks, and in particular, the development of Turksib, extended to India and Pakistan. At the end of December 2017, Pakistani fruit cargo opened a new transport corridor through Russia. Iran ferried a large batch of mandarins from Pakistan to Kazakhstan as part of an initiative that could open a new corridor for the delivery of food products from Southeast Asia to markets not only in Russia but also in Western Europe. The 350-tonne cargo arrived in the south-eastern Iranian city of Zahedan by train from the Pakistani Quetta and is already on its way to the port city of Aktau in Kazakhstan. Then he will be immersed in ships that will deliver fruit to Russia. The plans include the implementation of tangerines in the Auchan trade network. 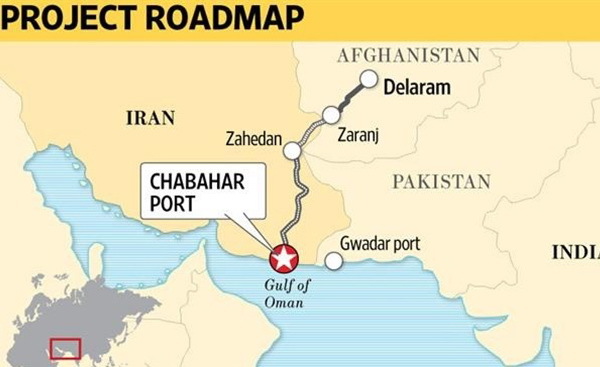 Iran plans to use this route for the transit of goods from its southeastern port of Chabahar to Central Asia and Europe, which, in the end, will become a major East-West corridor. “Port Chabahar in the south of Iran is of great strategic importance for both India and the world. Indian Ports Global Ltd (IPGL), a joint venture between the Deendayal Port Trust and the Jawaharlal Port Nehru Port Trust, is involved in the management and commercial management of the port over the next 10 years. In general, the port of Chabahar is designed to support Afghanistan, which is a landlocked country. Afghanistan has very close and special relations with India. Earlier in December 2017, Iranian President Hasan Ruhani opened the first section of the port of Shahid Behesti in the southeastern port of Chabahar. Chabahar is the only ocean port in Iran, located 645 km south of the city of Zahedan. The International Trade Port Shahid Behsti, due to its strategic location, can shorten the North-South corridor and connect it to the Indian Ocean. Now India is also considering another neighbor – Myanmar – for the Chabahar port development project. According to The All Pakistan Fruit & Vegetable Exporters, Importers & Merchants Association (PFVA), in the long term the countries intend to use this route for the transit of goods from the southeastern port of Chekhbehar to the coast of the Omani Gulf through the territory of Russia and Europe, which, according to the staff of the analytical department of JSC Russian Container Company, could potentially become a significant transit corridor connecting the East with the West, and in the long term – the countries of the Persian Gulf. Thus, the project participants can reach the figure of 700 thousand containers annually by 2020. The value of this corridor is that it will become the key to entering new markets, which will give growth to the economies and welfare of the participating countries. It is also important that thanks to this project, Russia will get access to the Indian Ocean through the Arabian Sea and the ports of Gwadar or Karachi and further to the Strait of Hormuz. Pakistan is at the crossroads of the East-West and North-South trade corridors, including the new Silk Road project in South Asia. In the future, a megahod – the “Persian Gulf – Bering Strait” railroad – is possible that will cross the Trans-Siberian Railway, Turksib, the Trans-Asian Railway from China to Europe and will secure the Eurasian Union, “summarizes Ivan Grishagin, Director General of JSC Russian Container Company.